Happy New Year to you! Mission of Mercy is starting 2018 with exciting news and upcoming expansion. We are pleased to share that Paula Carvalho (pictured here) has been named Executive Director in Arizona. Paula succeeds Catherine Amiot who joined Mission of Mercy in 2004. Paula has been an essential part of Mission of Mercy’s growth in Arizona, having worked alongside Catherine for more than 10 years. 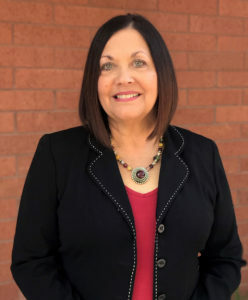 Focused on the organization’s mission and strategic advancement, Paula has been responsible for the oversight of program development and general operations in Arizona. One of the main priorities in the new year will be to open our seventh clinic site in Chandler, expanding our footprint and bringing access to care to more underserved areas of the East Valley. Thank you for your support as we continue to move Mission of Mercy in a positive direction and carry on our mission of healing through Love and restoring dignity! If you have any questions, or if you are interested in learning more, call us at 602-861-2233. Visit us! Have you been on a tour of our mobile medical clinics lately? See the tour schedule and sign up today. Best hour of your day!